CPAC's proscenium arch theatre spans a full size stage and includes an orchestra pit able to accommodate an entire symphony orchestra. With 941 seats in the house, the theatre offers premium viewing regardless of whether you are seated in the stalls, balcony or balcony boxes. 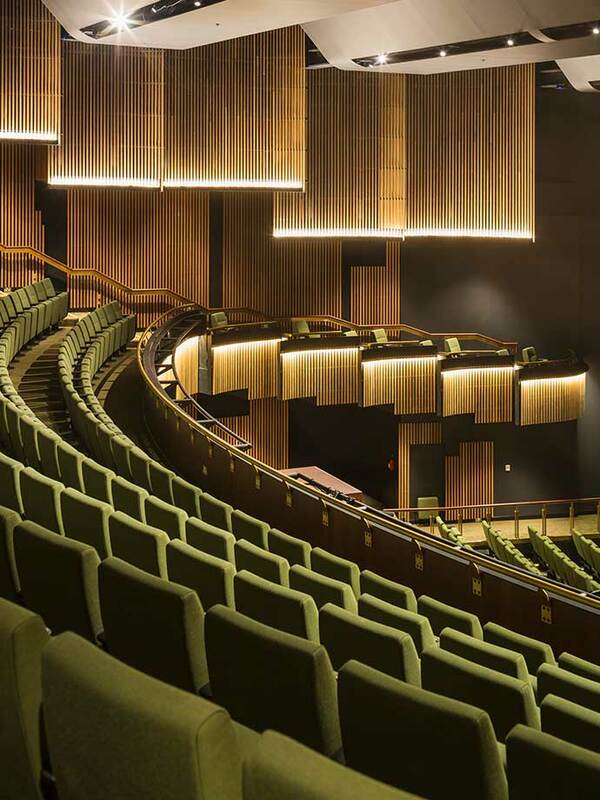 The auditorium is lined with locally sourced timbers to provide acoustic benefits while enriching the atmosphere. The theatre also offers access to a crying room; a space designed for people to take babies or small children for privacy and to reduce disturbance to other patrons while still allowing the accompanying adult to watch the performance. With ample wheel chair seating and a hearing loop, the accessibility of the theatre is considered high priority. With advance notice CPAC can accommodate a range of individual needs and we strongly encourage visitors to notify staff of any individual needs at the time of booking.